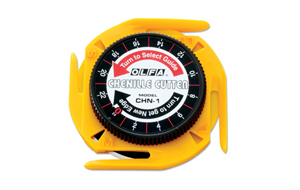 OLFA Chenille Cutter CHN-1 Model 1071929 is made especially for cutting chenille fabric. Designed for both right and left hand use, the revolutionary Chenille Cutter cuts multiple layers of fabric, as well as paper, cardstock, photographs, felt, fleece and more. Features 4 channel guide sizes for narrow to wide widths and 24 new exposed blade edges all with one click. The ultra-sharp, double honed edge blade is never exposed for extra safety. Use instead of scissors. Comes with 1 CHB-1 blade. 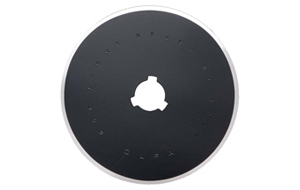 Uses Replacement Blades CHB-1 only. OLFA Handles Are Guaranteed Forever.